The bottle opener cap Ireland 100% cotton. A necessary cap for St Patrick's day. Dublin is known for its active parties nightlife. 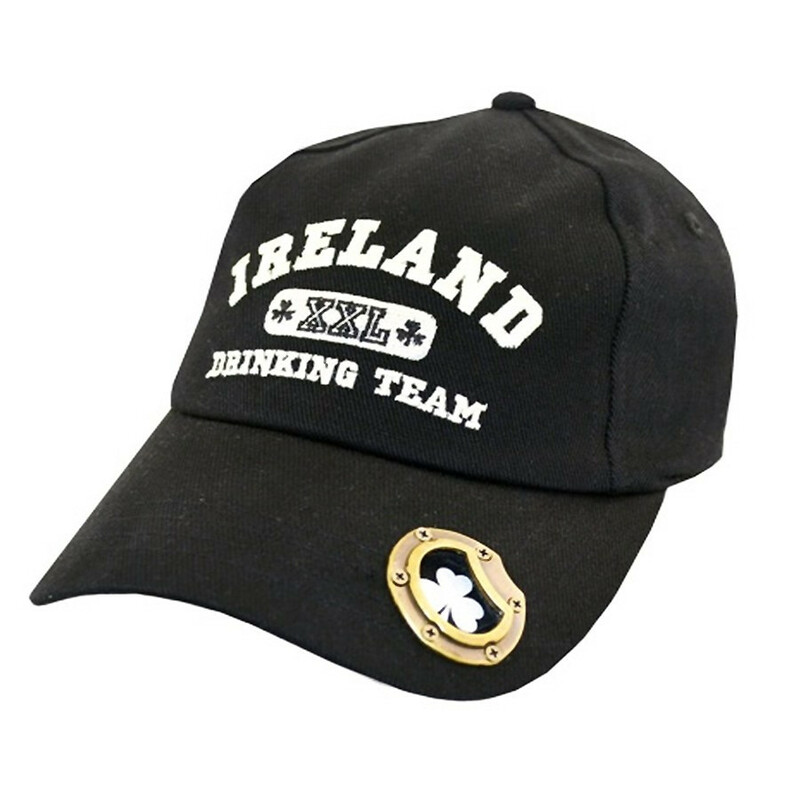 This "Ireland - XXL -drinking team" printed cap portrays Ireland.